Join us April 2 at either our Lower School or High School for a comprehensive look at what makes our education unique and designed to prepare children for a changing world! You will experience two main lessons, meet students and faculty and have the opportunity for Q&A and a personal tour. This morning is designed for both prospective and current parents and older students (ages 12 or up please). 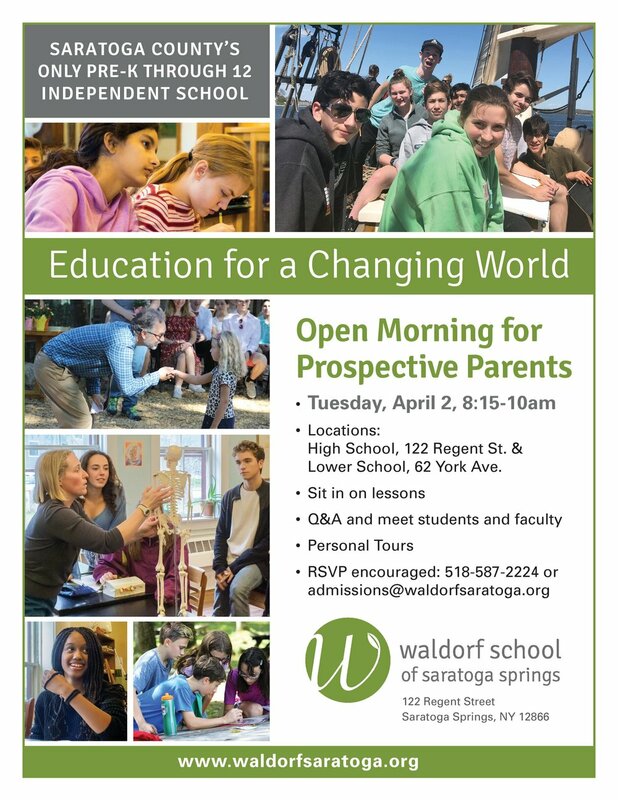 For more information or to RSVP, contact Elisabeth at admissions@waldorfsaratoga.org or 518-587-2224, or click here.